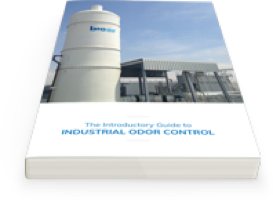 Established odor and emission control technology utilizing chemicals to isolate and eliminate unwanted compounds in air. Based on our assessment of your facility, BioAir incorporates the Qimi system into existing air collection ducting. Then, the collected air is forced into the bottom of the Qimi reactor where it is dispersed upward through specially-selected media. BioAir selects a chemical mixture formulated specifically to treat the odors or emissions at your facility. This mixture is sprayed down over the media as impacted air is forced upward. The chemicals in the mixture react with offending compounds. The result is newly inert compounds that won’t cause odor complaints or pollution concerns. 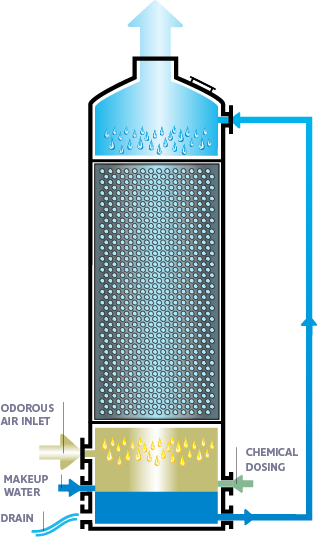 After the chemical treatment formula reacts with offending compounds, clean air is released through a vent at the top of the treatment vessel. The chemical mixture together with the offending compounds are drained away through a sump at the bottom of the vessel. Customized formulas for wide treatment range. No constant replacement of carbon filters. BioAir’s Qimi chemical scrubber can be utilized almost anywhere. 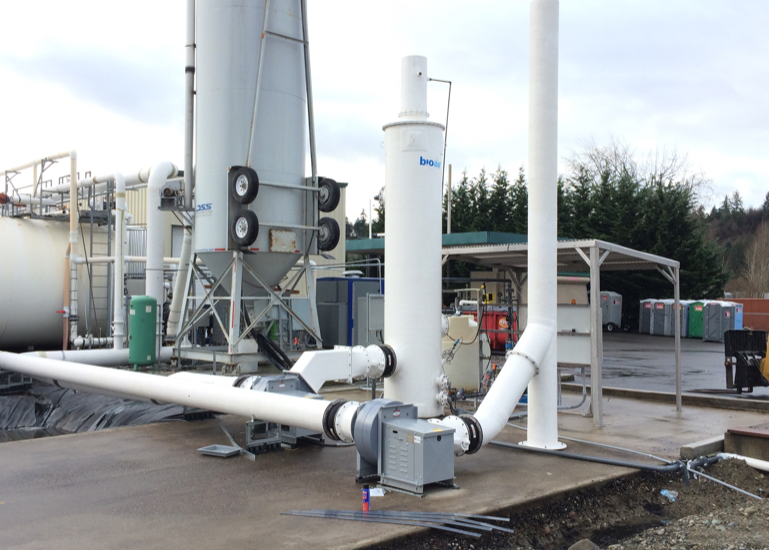 As a process company, BioAir Solutions is focused on recommending and building custom treatment solutions based on specific site challenges. Due to the highly customizable chemical formulas we can create, the Qimi system is well-suited for sites across the spectrum, from food and beverage facilities to oil and gas installations to municipal water and wastewater plants.